Since it's the weekend and the weather did not look too great for being outdoor, we decided to find some place indoor that will be interesting for Laetitia. 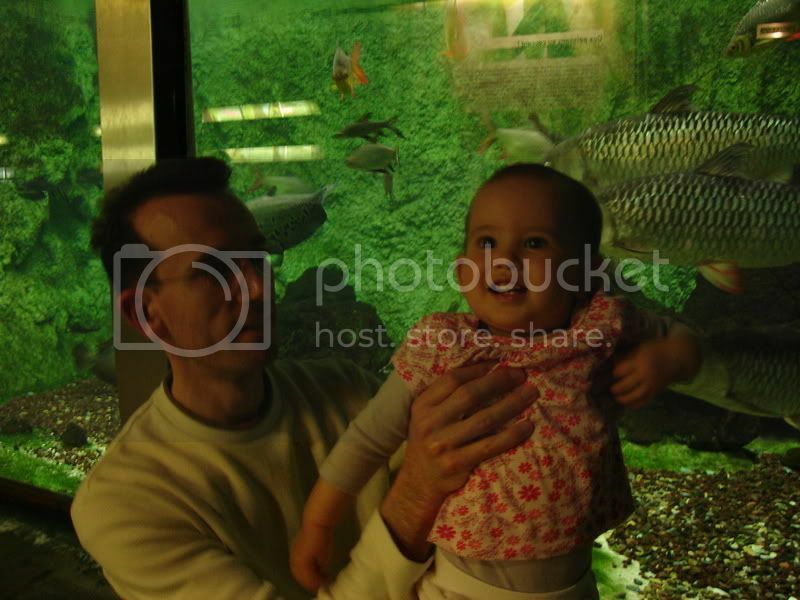 After some research online on suitable places/activities for a one year old, we decided on an aquarium. The question was which since there are more than a couple in Paris. 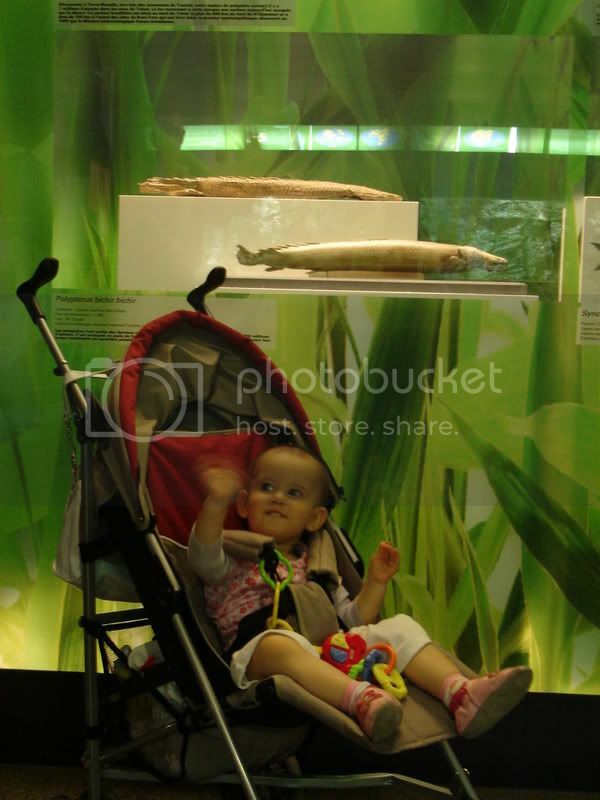 We took the easy way out and selected the one nearest to us in the 12th district of Paris, Palais de la Porte Doree, Aquarium Tropical. 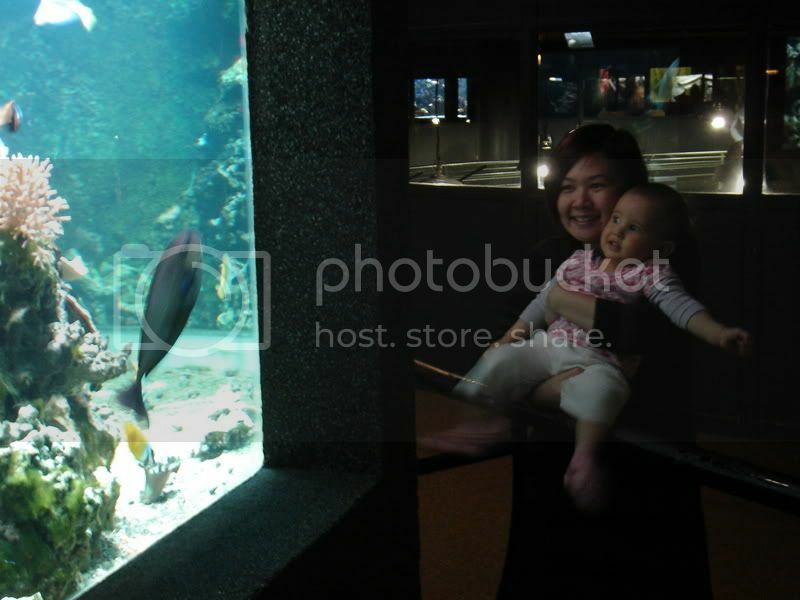 It's a rather small aquarium but a perfect size for a one year old. Interesting but not too overwhelming for the little one. Took us just slightly more than an hour to walk around. Here's some pictures we attempted inside. It was hard to take photos since there was not much light and we are not allowed to use flash.